Since 1985, 3 Rivers Fly and Tackle has been located in Wasilla, Alaska and has grown to become Alaska’s premier fishing tackle and fly fishing shop. 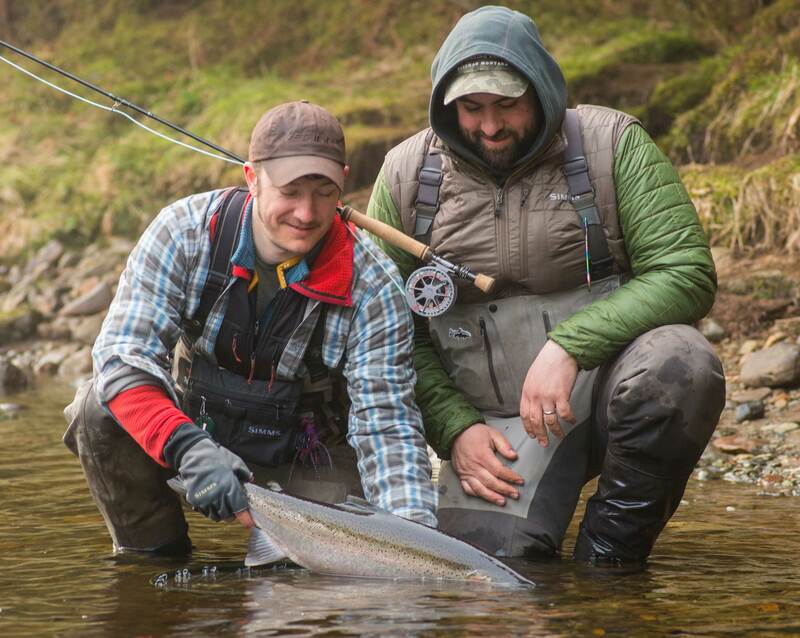 Our resident fly shop staff have decades of real time experience fishing Alaska, including flying and guiding fishermen into remote locations, instructing fly casting, fly tying, rod building classes, and helping people from all over the world get outfitted with the right gear and equipment for their fishing adventures. It’s this wealth of knowledge and personal experience combined with a genuine care for people that sets our fishing tackle and fly shop apart. Our Pro Staff – Knowledge and personal attention really is what sets our fishing tackle and fly shop apart. We actually use, field test, and in some cases even build the gear we sell. Everyone who works in our shop are avid fishermen and outdoorsmen. When you need advise about what fishing tackle or gear you need for your next adventure, you will not find a more knowledgeable source than the pro staff at 3 Rivers Fly and Tackle Shop. 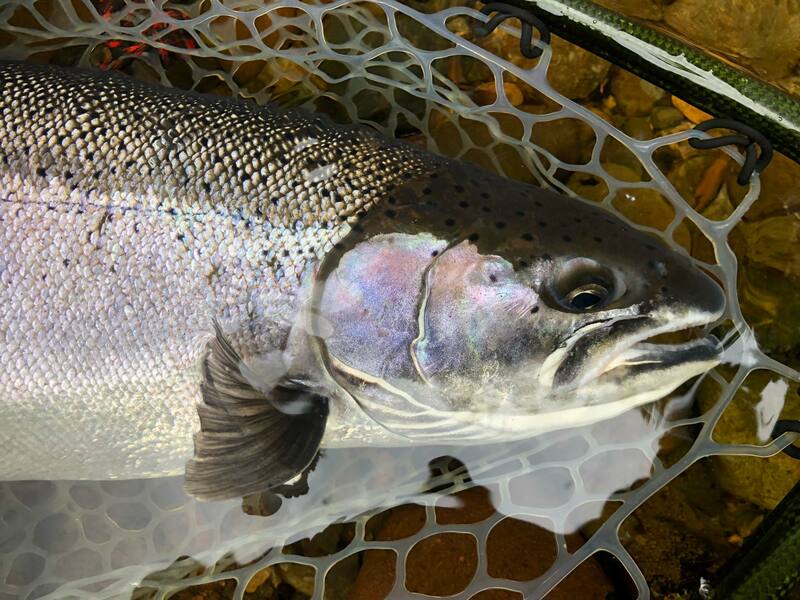 Great Selection – We carry a complete line of top quality fishing tackle and fly fishing supplies for any type of Alaska fishing. We have a great selection of fishing rods, reels, line, fly lines, terminal tackle, fly’s, waders, boots, ice fishing gear, flitting supplies, rod building supplies and more! Rod Building Classes – Each winter our professional staff offer in house rod building classes. Learn how to build your own custom rods from start to finish. We carry all the rod building supplies you will need and we will provide you with step by step instructions on how too build your very own custom fishing rod. Fly Tying Classes – Each winter our professional staff offer in house fly tying classes. Learn how to tie your own custom flies from start to finish. We carry all the fly tying supplies you will need and we will provide you with step by step instructions on how to tie your very own custom flies. Commercial Fishing Gear – 3 Rivers Fly and Tackle Shop can order the commercial fishing gear, supplies and saltwater tackle you need at a great savings to you. Call us today and give our pro staff a chance to give you a quote. Ask us about our early season pre-buy and bulk buy specials. We ship worldwide! If you are planning to travel Alaska call us ahead of time and let us help you choose the right gear for your adventure. Don’t spend all that time and money to come to Alaska and then fail to get the right tackle and bait for the fish you are after. We can have your order waiting here in our shop for you when you arrive or we will ship it right to your door! Hats are in shirts should be in this week! Get em before the season starts and show us your fish pics in our gear! Dang y’all! The big island is amazing...waterfalls, amazing fishing, and unbelievable scenery! Next year we explore the deep blue in chase of big game fish. It’s mainly a terminal tackle game, but I’m hoping to change that up in the years to come. We love helping out our local youth get on fish! Everyone caught fish this day! It was an epic event that had smiles for days!!! Stop by and see us we would love to help your family or friends get on fish this winter! Chicken stew in the can cooker! Cancooking our way to Spring! Lots of smaller fish this morning. Going to a new cove with some T-14 tonight. See what happens!!! Lava covered beaches, long sunsets, and casting for GT’s! My favorite way to spend a winter evening! Wow! North shore big island! Our Fishing tackle and Fly Shop is conveniently located just 45 minutes drive north of Anchorage in the heart of Wasilla, Alaska. We are at the corner of the Parks Hwy and Knik Goose Bay Rd. Just turn off the Parks Hwy on to Knik Goose Bay Rd. and you will see us IMMEDIATELY on your right, just over the railroad tracks. We look forward to seeing you here!